Forget the U.S. Postal Service, which claims to deliver the mail in all types of weather, but sometimes doesn’t quite live up to its promises. 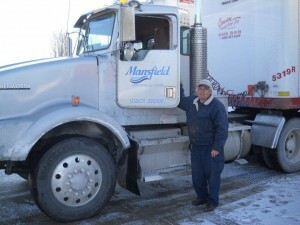 The wicked winter weather this past February, which had records crumbling for snowfall amounts and frigid temperatures throughout Ohio, didn’t stop Mansfield Plumbing from making its deliveries. Despite 25 inches of snow in the Mansfield area and an all-time record low for the month of February (reaching -17 degrees) in Cleveland, the team at Mansfield Plumbing lived up to its promise of fast, on time delivery. With icy conditions throughout the country, our team was able to maintain our full truckload delivery promised in just 7 business days throughout the grueling winter weather. That’s because we’re completely dedicated to our customers and we know that business doesn’t stop for wicked winter weather — and neither do we.